Uncategorized | Did We Do Something to Deserve This? 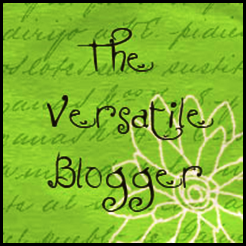 Bonus Post: The Versatile Blogger! Guess what? We know a girl, Jhani, who is wonderful. Jhani and I (Jana) spent our freshman year of college living down the hall from each other, doing a lot of hallway drinking, checking to see who was free to hang out by opening our doors and simply shouting “HEYYYY” and seeing if we got a response, etc. COLLEGE, right? Anyway, Jhani has an amazing collection of earrings, and is beautiful and wonderful. Please read her blog, A Girl Called Jhani, in which she writes beautifully about her life and the people in it. It’s really lovely in every sense of the word. The rules for this nomination are that we write 7 things about ourselves, and then nominate two more people. So, let’s do this in order! Here are 7 things about US (3.5+3.5 = 7). 1. There is a store in my hometown called “Paper and More.” When I was a kid, I thought this name was absolutely hilarious. Whenever we drove by the store, I’d look at my dad and go: “MORE? You mean they sell MORE than PAPER?”. 2. I was once run over by a dog while attending a college graduation party. 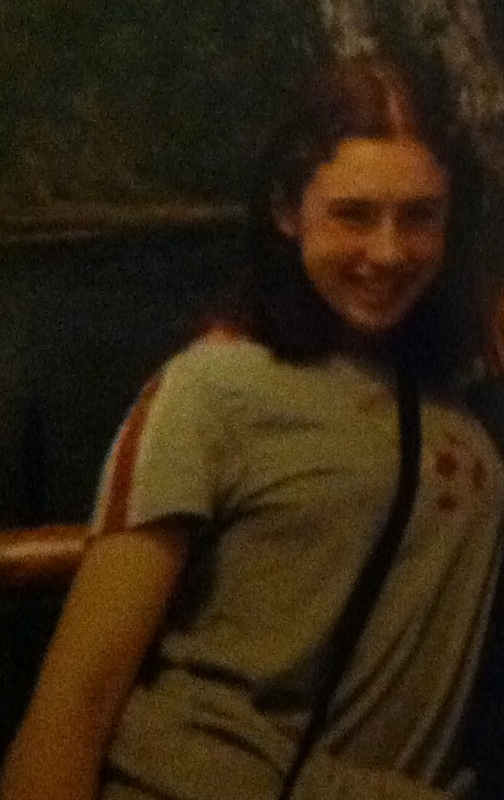 I was only about 10. At the same party, someone threw someone else in the pool, and that person’s cell phone was in his pocket. Cell phones were still really new. The wet person swore a LOT and my friend’s parents ushered us past him and out of the party. When I was run over by the dog, I don’t think much happened except that I like, got up and brushed myself off and vowed to hate dogs forever. 3. Once in high school my friends and I ate at our local Friendly’s. A few weeks later, we received word that everyone who had eaten at that Friendly’s within the two week period during which we’d dined there needed to get a shot, because one of the employees had hepatitis. There was a free clinic set up a the local hospital. My friend and I waited in line for an hour on one of our summer vacation days, and then got shots in our asses (HURTS). Catherine:.…… IT’S CATHERINE, TAKING OVER, BOOM. I want you to know that I have never had a cavity in my life and that last night, while drunk, I decided I really should floss. Blood was everywhere. 5. Once, in college, I was drunk and found an open can of beer in the parking lot behind my dorm. I drank it. 7. I went to Poland with my family when I was 19, and there is a magical park there where the peacocks run free. It is truly lovely. What sticks with me most, perhaps from the entire trip, is that in Polish you call a peacock a “puff.” And the word for yes is pronounced “tape.” So, all that afternoon, my brother and I pointed to peacocks say “Puff?” “Tape!” We found it HYSTERICAL. The Hodgepodge Photographer – This is the website of our incredibly talented friend, Jess Hodge. Jess spent college daily astonishing us with her skills as an actor, and has spent every day SINCE college daily astonishing us with her skills as a photographer. This is what talent is, people. It’s here. Look at these pictures! They’re insanely beautiful! Chimerically Yours – This is a fashion blog created by another beautiful and talented friend, Molly Sullivan. Molly puts together unique, pretty outfits, and wears them like she was born in ’em. We are huge fans of everything that is Molly. Check her out and marvel.